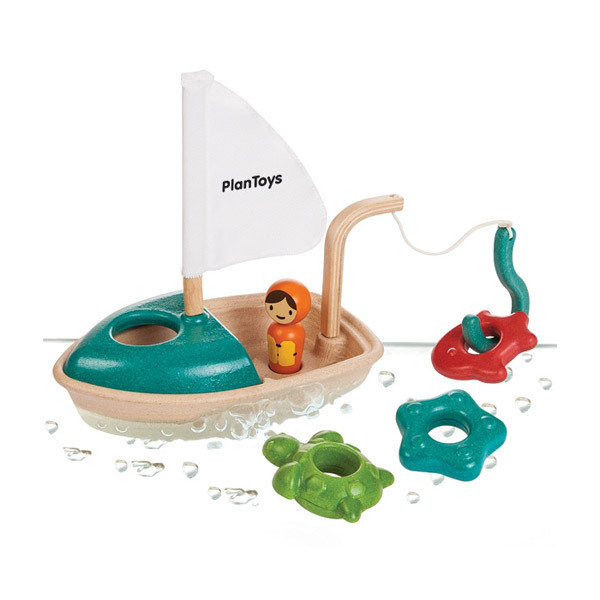 Go fishing on your wooden fishing boat! Includes a removable cabin, a detachable fishhook, a sail, a fisherman, a fish, a starfish, and a turtle. The fisherman can be placed inside the cabin. Helps develop imaginative play. From 24 months.